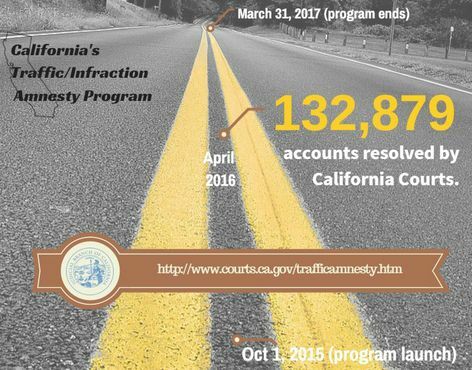 California courts have resolved 132,879 delinquent infraction and misdemeanor accounts and sent 104,105 requests to the state Department of Motor Vehicles to lift holds on driver's licenses since the traffic amnesty program began in October 2015. The latest reporting period—ending April 30, 2016—shows a 20 percent increase from the first report ending December 31, 2015. The latest figures come from 56 of the state’s 58 courts. The actual figure of how many license suspensions have been lifted is unknown because the DMV may have a hold on a license that is unrelated to unpaid fines or fees. According to the DMV, 612,831 Californians have a suspended driver's license. There are an estimated 4.9 million amnesty-eligible accounts worth an estimated $4 billion. The amnesty program, however, has thus far brought in only about $18.9 million, and $6.4 million of that will go to pay for the amnesty program’s operating costs. 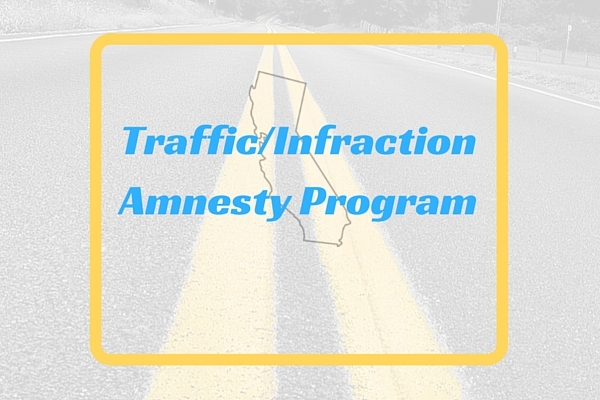 The aim of the one-time amnesty program is two-fold: to help people with unpaid traffic and non-traffic infraction tickets by cutting the amount of debt by 50 or 80 percent and to reinstate driver's licenses to those whose licenses have been revoked due to unpaid fines. The program ends March 31, 2017.